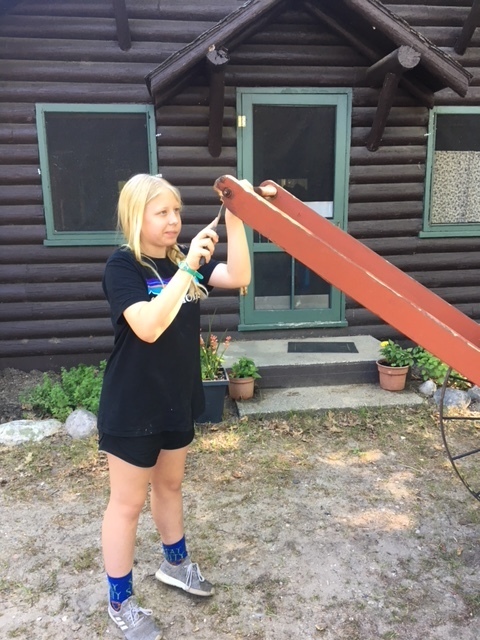 In June, our youth and our amazing sponsors volunteered at Camp Westminster on Higgins Lake in Michigan. We were there from Sunday night, June 10, to the following Sunday morning, June 17. Camp Westminster is a Presbyterian camp. They serves kids from all over the country, as well as Detroit, including inner-city kids who have not ever had the chance to go to camp. 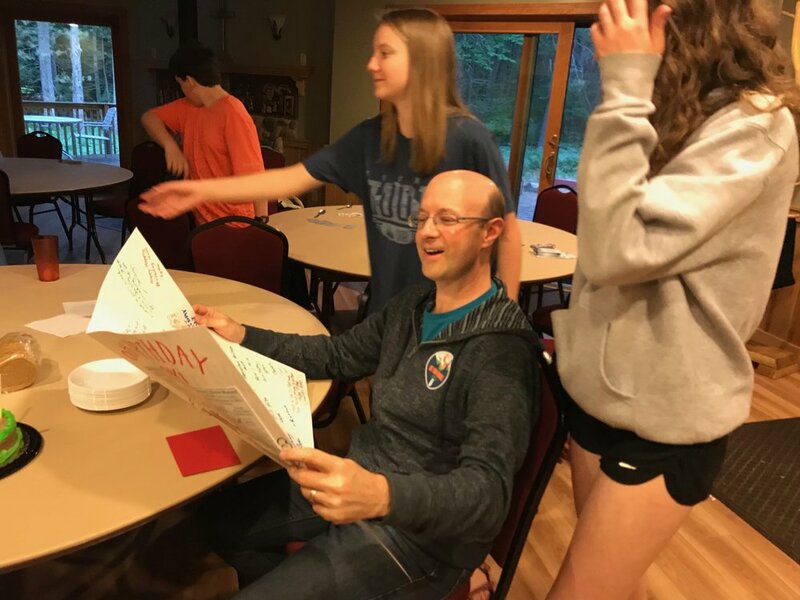 Westminster Presbyterian Church in Detroit is able to provide scholarships for these campers by having groups help set up the camp instead of paying someone to do it. During the week we were always planning on being busy. We were such fast workers, the directors found we could quickly finish the projects they planned and so they came up with more! We split into groups and were assigned many different projects. Michigan winters are hard on the camp. Some of us cleaned off roofs while others painted benches, stained picnic tables, or cleared trails. The whole week was filled with different jobs to help prepare the camp for the youth that would be arriving the next week. Near the end of the week we were assigned the biggest project which was to scrape, tape, and paint the Fellowship Hall. We had many teams working and by Friday afternoon we had completed the whole building! On Saturday we celebrated with a day of fun and relaxation on Mackinac Island. This mission trip was a huge bonding experience for all the youth who went and an amazing service project of which to be a part. We all explored our spirituality and learned more about each other and God. Having a week without technology or the crazy stress the world puts on us everyday was an amazing break and blessing. This year’s mission trip was a sure success!